Going through the mail is one thing that needs to be taken care of on a regular basis. Unfortunately, that is a difficult thing to do if you live in a different country than your mailing address. Fortunately for me, Dave allows me to forward my mail to him (I recently learned that I can forward the mail to Europe, but there is a significant delay in getting that mail … it’s probably not worth it). This summer, Dave was in Pittsburgh. So, yesterday we just finished going through my mail from the Summer! The logistics of going through my mail remotely are rather interesting. For items that Dave is used to dealing with for me, I usually get an email saying “I am going to shred these things and save those things” to which I usually reply “ok.” With so much mail, we couldn’t do that this time. 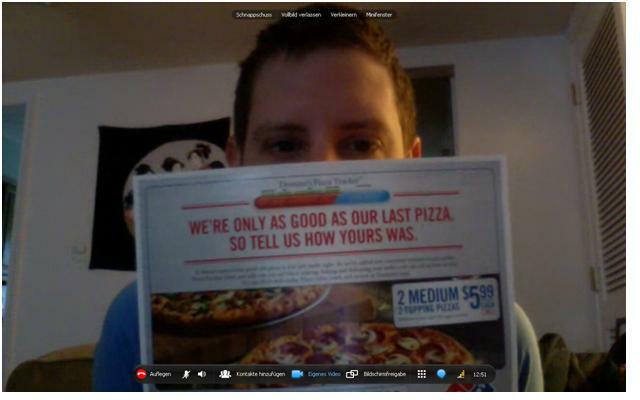 So, we talked through it over Skype. Dave showed me the wedding invite for Jen & Greg’s wedding (which was in August) and for Dave & Lesley‘s wedding (which is in November). He told me that my name was sent to a debt collector for a medical bill of $9.12 which we had actually paid. He wasn’t too happy about that, and neither was I. And, he reminded me that Macy’s refused to give me a credit card “because my debt to income ratio was too high.” Grrr! My credit is fine, the only problem is that the numbers don’t look good when you owe >$100K on a house and you are earning a graduate student stipend (which allows you exactly enough to eat and have a roof over your head, and to purchase an occasional new shirt). Oh well, I guess I won’t be applying for any more credit cards any time soon. One night he put all of my mail on his bed when he was sorting it. During this process, he got tired and was going to go to bed … then he realized that he couldn’t because my mail had taken over the bed! Sorry, Dave. This entry was posted on September 18 2011 at 3:03 pm and is filed under Uncategorized. You can follow any responses to this entry through the RSS 2.0 feed. You can leave a response, or trackback from your own site.